This beautiful amulet from Pra Ajarn Ji Somjidto was empowered by LP Ji in meditation every evening in his Kuti, giving them nightly empowerments every single day from its creation to the day of the final Puttapisek blessing ceremony. The front face features Rachasri Lion, a Himapant animal who appears often in the Ramakian Myths. Ratchasri or, in this case, in the form of Singh Paetch (diamond Lion), is empowered by Pra Ajarn Ji with Maha Amnaj (Power and Dominion),for strength, commanding force, and success. The fierce Lion is thick skinned and hard to cut or pierce endowing the wearer with Kong Grapan (Invincibility). 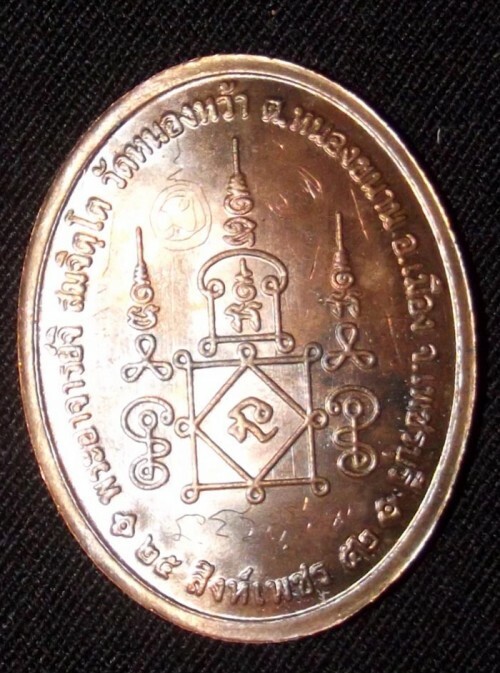 This is the ‘Pim Pised’ version (Masterpiece Coin), which was made in Nine Sacred Artifact Alloys with a more Reddish Varying Surface Color instead of the Yellowish ‘Nuea Samrit’, of the standard range model. There was also a ‘Nam Rerk’ first smelting version made in solid silver, with rough uncut edges, which was made in very small quantities with hand spell inscription on rear face. Useful for those in administrative or commanding positions, or those who have to be involved in ‘Jeraja’ (influential discussions), such as in corporate, military or political strategic environments. Also an apt choice for Gamblers or thise involved with competitive professions, or amateur activities such as sports, for the Rachasri King Lion will endow the wearer not only with fearful imposing presence, but also with the strength to win fights or competitions. The amulet is made from ‘Nuea Nava Loha’ (a Sacred Metal Alloy, made from smelting Sacred Bronze artifacts and Yantra Foils of different metallic compositions, with an addition of silver and gold to increase the sheen of the metals). Amulets by Pra Ajarn Ji are becoming extremely sought after and are mostly sold out each edition because the Looksit of Luang Phor Yit know his Lineage and that he is of those lesser heard of Monks who will later be found out to be both a Great practitioner and amulet maker. His amulets are always made in small quantities and usually given an individual empowerment by Pra Ajarn Ji. 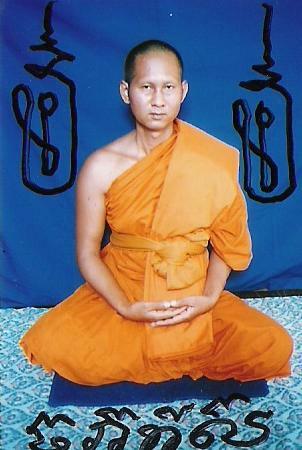 Pra Ajarn Ji is the inheritor of the Wicha of Luang Por Yit (sometimes spelled ‘Yid’), of Wat Nong Jork. 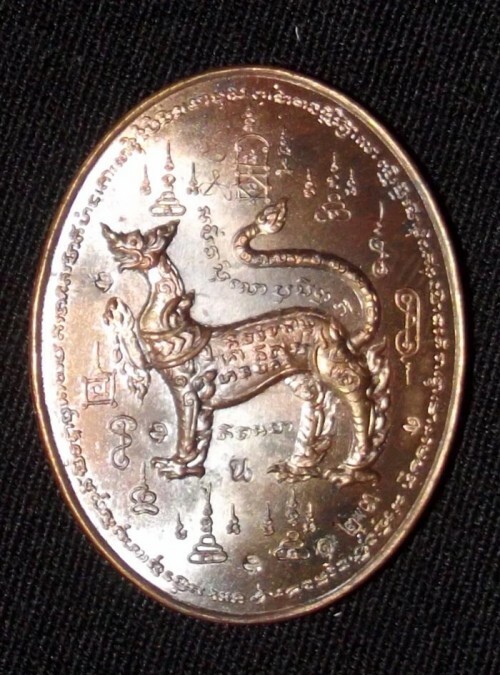 He is especially skilled and famous for his ability to empower Palad Khik amulets. 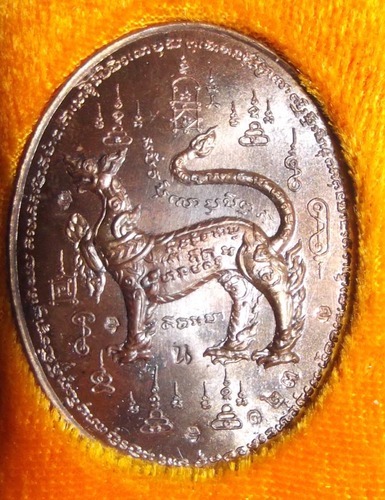 The famous Luang Por Yit once said that Pra Ajarn Ji was able to empower amulets, and cast spells exactly how LP Yid himself did, and that his amulets were just as good as his own.